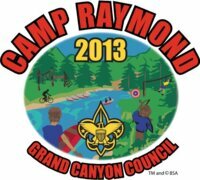 Camp Raymond and the Grand Canyon Council will provide your Scouts the greatest adventure of their Scouting experience. Camp Raymond, located between the Kaibab and Coconino National Forests, is only 30 miles from downtown Flagstaff, and is surrounded by some of the most beautiful terrain in Arizona. From the east meadow, the morning view of the majestic San Francisco Peaks is glorious, and often times the peaks are still covered with snow. Watch elk, pronghorn antelope, and deer graze as your day begins, then enjoy the 160+ acres of Camp Raymond with an adventure program that your Scouts will not soon forget. 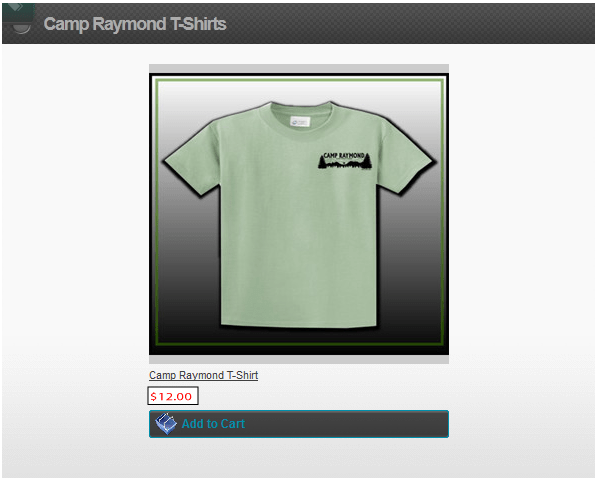 Camp Raymond has 15 wonderful campsites, each with a capacity of at least 30 Scouts. Our program provides a swimming pool, handicraft ramada, full shooting sports, including shotgun shooting, Scoutcraft ramada, a great C.O.P.E. course, and a wonderful commissioner service! Special programs are available for every age Scout from 11 to 18. We promise you, your Scouts can`t get bored! Troops may eat at the central dining ramada or supply their own meals. Either way there is nothing like eating outside in this beautiful setting. For our campers, each campsite is equipped with water, a wash stand, latrine, a cooking area, and picnic tables. Scouts need to bring their own tents and any other equipment they would like to have. Also included in each campsite is a flag pole for central troop programs. All program areas are close to most campsites making access fairly easy for all Scouts at camp. Finally, since we are nestled on the most northern tip of the northland`s Sycamore Canyon, Camp Raymond offers some prime hiking opportunities that you can`t find at other camps. We offer trail hikes from 2 to 12 miles. Your troop will have a great time on an overnight experience, something you don’t want to miss! You just don`t want to miss it. The Camp Raymond Adventure provides the best Scouting has to offer in the pines of Northern Arizona.